There are fewer than 10,000 surviving Bale monkeys in Ethiopia, and they prefer to eat only bamboo – but the bamboo forests are shrinking, and local farmers harass or kill monkeys when they try to eat cultivated foods. This part sounds like a recipe for a species at high risk, but new research shows that the Bale monkeys can still be saved from extinction. The Bale monkey (Chlorocebus djamdjamensis) is an arboreal and enigmatic primate species that lives exclusively in a region of approximately 12,500 square kilometers in the southern Ethiopian Highlands. Bale monkeys are listed as a Vulnerable species in theIUCN (International Union for Conservation of Nature) Red List of Threatened Species; this means that the species is at high risk of extinction in the wild. The Bale monkey's natural habitat is the dense bamboo forest that previously covered large areas in the southern Ethiopian Highlands. Bale monkeys prefer to eat the young leaves and shoots of the highland bamboo (Arundinaria alpina), which accounts for 77 per cent of the diet in dense bamboo forests and makes this primate unusual. "This specialized diet allows the Bale monkeys to be compared to the Chinese panda and bamboo lemurs of Madagascar, which are also bamboo specialists", says Addisu Mekonnen at the Department of Biosciences and Center for Ecological and Evolutionary Synthesis (CEES) at the University of Oslo (UiO). The dense bamboo forests and mountainous terrain in Ethiopia have for millennia provided as a home for Bale monkeys. However, the bamboo forests are shrinking due to agricultural land expansion and logging of bamboo, associated with the ever increasing human populations. In addition, bamboo is a versatile material that can be used to produce things like furniture, fences, floors and even entire cabins. "The extensive harvest of bamboo has led to the disappearance of the continuous bamboo forests in Ethiopia. This means that the Bale monkeys are now forced to live in small isolated fragments of the former forests. But the Bale monkeys could still be saved if appropriate management actions are taken," Mekonnen says. 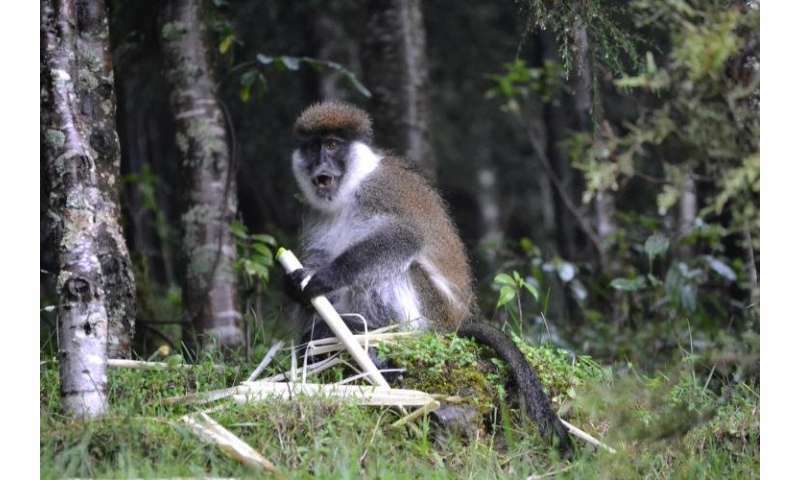 In 2013 and 2014, Addisu Mekonnen and his team studied how Bale monkeys respond to the fragmentation of the bamboo forests in Ethiopia – by comparing their ecology, behavior and population genetics in continuous forests and forest fragments. The results were recently presented in his doctoral dissertation and three published articles. The study found that in response to habitat alteration in fragments, Bale monkeys are able to modify their ecology and behavior. In particular, they consumed a higher number of food species, including shrubs, herbs, grasses, and cultivated foods. They can also spend up to one-third of their time on the ground, in contrast to their fully arboreal conspecifics in continuous forests. "That Bale monkeys are able to persist in fragments at least for a short-term was surprising and good news for both the monkeys and people that are concerned about their survival", Mekonnen comments. However, the long-term survival of Bale monkeys remains uncertain in small and isolated forest fragments with lower food availability and habitat quality than in continuous forest. "Farmers respond to crop-raiding Bale monkeys by throwing stones, hunting them with spears, chasing them with dogs, or positioning scarecrows in cultivated areas. The monkeys are also more prone to parasites and predators when they move out into open areas", Mekonnen says. The Bale monkeys have, like other primates, a small, round head and a nice body with slender limbs. The short hands have a long thumb, and the short-haired tail is longer than the body. Until Mekonnen's pioneer work, they were one of the least-known primate species in Africa, mostly because they are very shy and prefer a life in a difficult terrain deep inside the thick bamboo forests. "I am optimistic and believe that the Bale monkeys can survive as a species if properly managed, but there are many conservation challenges that must be solved. The most important measure is to stop further deforestation of bamboo in the areas where the Bale monkeys live, to ensure their long-term persistence in southern Ethiopia. We need to start with afforestation and restoration of degraded fragments with bamboo, because bamboo is a preferred food species and habitat for Bale monkeys", Mekonnen says. "In addition, bamboo has a huge restoration potential because it is one of the fastest growing non-timber forest resources and is adapted to grow on marginal and degraded mountainous lands not suitable for traditional agriculture. It is also a valuable product that can help to generate income for the local community and to obtain export revenues for Ethiopia if harvested scientifically and sustainably", Mekonnen points out. 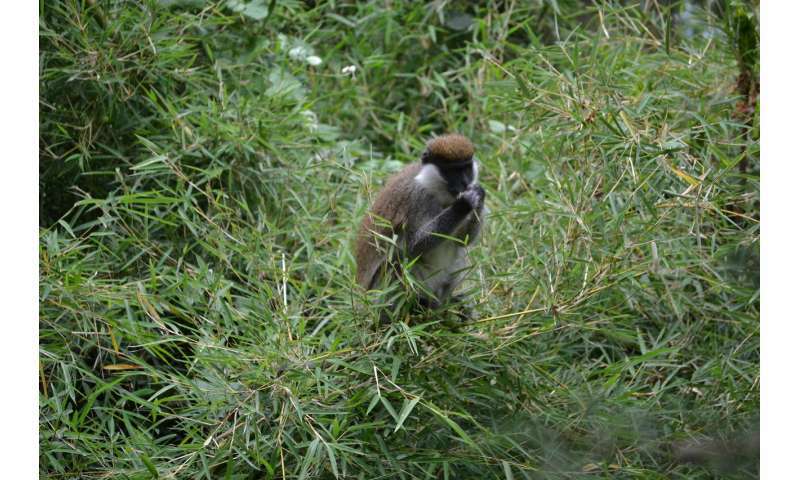 Addisu Mekonnen and colleagues at CEES have also discovered that the Bale monkeys still living in the continuous bamboo forests are genetically different from those living in the more fragmented areas. This suggests that the two populations should be protected by two different management regimes. Bale monkeys in forest fragments are closely related to two sister species (vervetsandgrivets) found in the same area, suggesting that inter species hybridization occurs. Long-term ecological and demographic studies are essential to ensure the future persistence of Bale monkeys in southern Ethiopia, according to Mekonnen. "The responsible authorities in Ethiopia have lately had much more to think about than the preservation of the Bale monkeys. 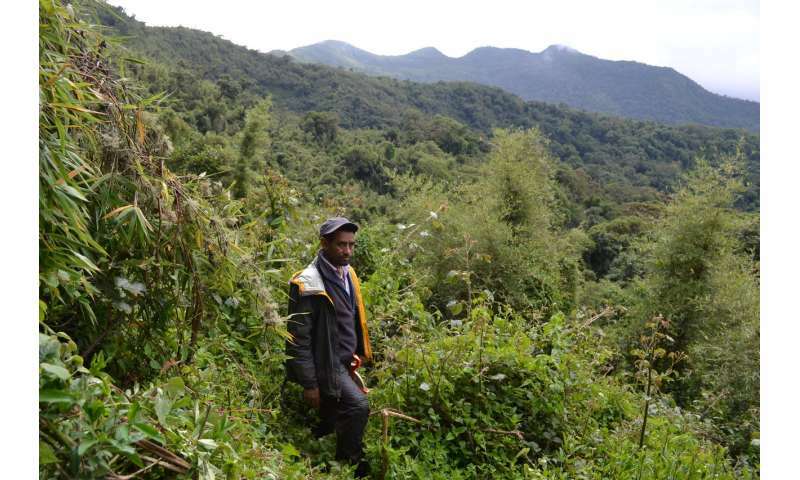 But I hope and believe that the Federal government, local authorities and other stakeholders will realize the value of maintaining a rare species and its preferred bamboo forest habitat", says Mekonnen.